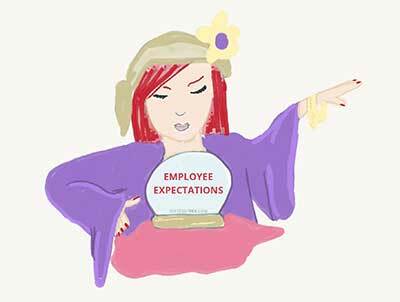 Do Your Employees Know What You Want? Before you say, “It’s different here,” think about how you let people know what you expect. Too many companies rely on annual performance reviews to do the whole job. These can fall short for a few reasons. Often managers don’t know how to conduct them. For example, they don’t keep records of what employees do well or need to improve, so can only speak in generalities. This means people don’t feel recognized for good work or have concrete feedback on where they’re falling short and how to change this. In addition, once a year feedback can come too late. As a result, you keep employees you shouldn’t, and your talented people feel unchallenged, underperform their abilities or leave. A Gallup study noted that only 12% of employees strongly agree their managers help them set work priorities. And just 13% strongly agree their managers help them set performance goals. Engaged employees want ongoing feedback, and they want to be held accountable. That supports the “management by walking around” approach. Managers know what’s going on with each person, and this attention helps people feel more seen and heard—and engaged. When your people are clear on their roles and your expectations, this has a tangible effect on your results. Customer perceptions of quality increase. Employee productivity goes up. And safety improves. All of these actions can lead to better top- and bottom-line performance. This shows that good communication certainly is worth the investment! Click here to learn more about your IQ on Performance Reviews. If we can help you to create better systems for communicating roles and expectations with your employees, please let us know. You and your employees deserve the power and success that comes from clearly connecting company and personal goals!